Certificate Attestation for Oman in India is required when you're travelling to Oman from India for seeking a job, internship or study purpose. Document Attestation for Oman is a essential procedure that is to be carried out when you are willing to visit to Oman. It is an essential part of the verification process which will validate the authenticity and genuinity of your documents and yourself. Oman attestation is a very lengthy process. Hence, it is preferable to get your documents attested from professionals. Oman Attestation Agencies are experienced in their work and know the knick-knacks of the attestation procedure. There are limited Oman attestation services though. It is also necessary to know if the attestation agent is legitimate. 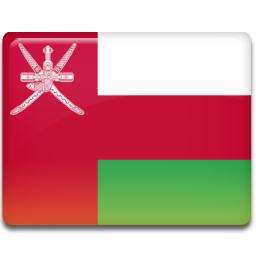 What is the Oman attestation? Attestation is a type of legal procedure that will render with the proof of the authenticity of the document. Oman attestation is the certification of documents that are required to obtain a Oman Visa. It is necessary as it will sanction you as a permissible individual. To get the document attested, one needs to get the concerned material checked at different levels of the government. Only the authorised persons are allowed to attest the documents. Why do we need certificate attestation for Oman? Where will you get Oman attestation services? While looking for quick attestation services, one should consider the parameters a legitimate attestation service needs to follow. Be it legitimacy or trustworthiness, the agency must know them all. Among all the agencies available, PEC has acquired its name on the top. We are well-known in the field of providing the hassle-free and best Oman attestation services. We maintain transparency of the procedure that is being carried out and you will be kept updated with the progress. Only licensed professionals work with the firm. We have your convenience as our supreme priority. We provide you with attestation at different levels of authorisations present, right from the notary attestation to the embassy attestation, PEC will get your work done. The Oman attestation procedure is lengthy as it's not a straightforward process. The document goes through different levels of certification until it is lastly attested. The Ministry of External Affairs is the branch of the Indian government that provides the MEA stamp on the attested document. Although, the MEA has decentralised the process from January 01, 2019. The process was localised to Branch Secretariats and RPOs in 15 cities being: Ahmedabad, Bengaluru, Bhopal, Chennai, Chandigarh, Cochin, New Delhi, Hyderabad, Kolkata, Lucknow, Mumbai, Panaji, Raipur and Thiruvananthapuram. It is the first level of attestation. It is carried out at the local level by the concerned government officials. This notarization makes a document legalized for further proceedings in attestation and legalizations. Attestation is required when public documents need produce in different country. Home department attestation is the critical and second step of certificate attestation. All the documents meant for attestation or apostille must be attested by the home department. Personal documents like Marriage/Birth Certificate are confirmed by Home Department. this attestation is also known as Mantralya Attestation. SDM attestation is attesting your documents from the Sub-divisional magistrate of concerned state situated in Delhi than attesting it from the State Department. This makes the attestation procedure simple. However, confirmation would be done at the state level by the corresponding department. Upon completing the confirmation, attestation will be done from Sub Divisional Magistrate in Delhi. The MEA officials proceed with this part of the attestation. When the necessary papers are complete, as a mark of authentication, the MEA applies a stamp.Ministry of External affairs controls the attestation from the process. MEA keeps the record of attestation progress and waits for the precise report of attestation from the HRD department/Home department and accomplished the process of attestation. The attestation from the MEA is later re-checked by the authorization of the required embassy. This verifies the trustworthiness of the documents. If you are searching for the certification for Oman Visa, the Oman Embassy will attest your documents. To formulate the document from the respective embassy distinct process has to be followed. The procedure mentioned above is specified for the attestation of personal documents. In case you are looking for procedures to attest your educational or commercial documents, check out the links that we have cited below.